It’s no secret that Gray Matter Marketing loves the 10 mile race distance. 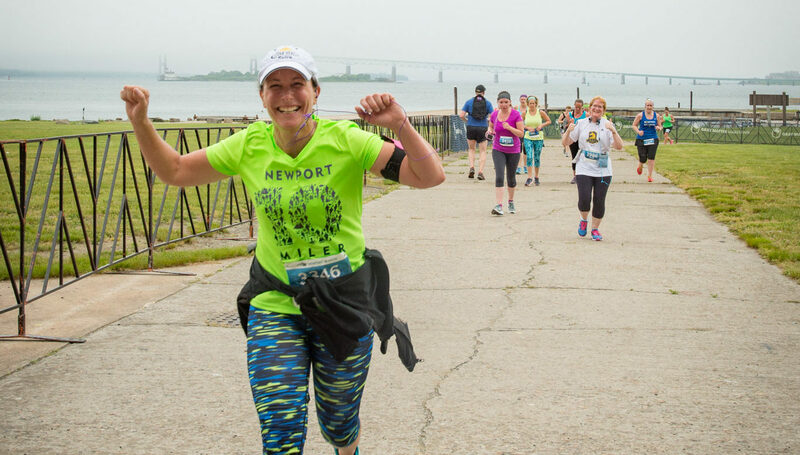 This year’s BankNewport 10 Miler will be the sixth edition of the local favorite race, but we’ve also added two new 10 milers to our portfolio. The inaugural Vermont 10 Miler took place in November, selling out with more than 1,000 runners tackling the challenging hills and beautiful back roads to Stowe, Vermont. We’ll be back in Stowe for round two on November 4th, 2018! This April, we’re hosting a third 10-miler race, in Portland, Maine. The new Portland 10 Miler will take runners on a tour of Portland’s Back Cove and through the city, with views of Casco Bay and downtown Portland. It’s a double-digit distance, and that’s a big deal! The running field is a perfect size — we cap our events in order to provide an excellent runner experience, but they’re full enough that runners aren’t alone on the course. It’s a great goal distance for runners looking to take the next step up in race distance from a 5K or 10K. It’s a standard distance for a half marathon or marathon training run. Earn some bling while you train! It’s a great run-cation distance; you’ll still be able to walk the next day, and sightsee! The average 10 miler runner burns about 1,100 calories; that’s 8 cupcakes! Because they’re a little shorter, 10 mile courses are viable in more locations, which means you can run them almost anywhere. Time to explore! Training for a 10 miler won’t take over your whole life; your long runs will never creep up into the double digits, and you still get to enjoy the rest of your day. It’s different! While gaining popularity, the 10 mile distance is still newer on the running scene. It’s always fun and challenging to switch it up and try something new. It’s called “a perfect 10” for a reason! Have one to add yourself? Leave us a comment here or on our Facebook page!